OK, I’ve watched some crazy political stuff – but this one is a stunner. 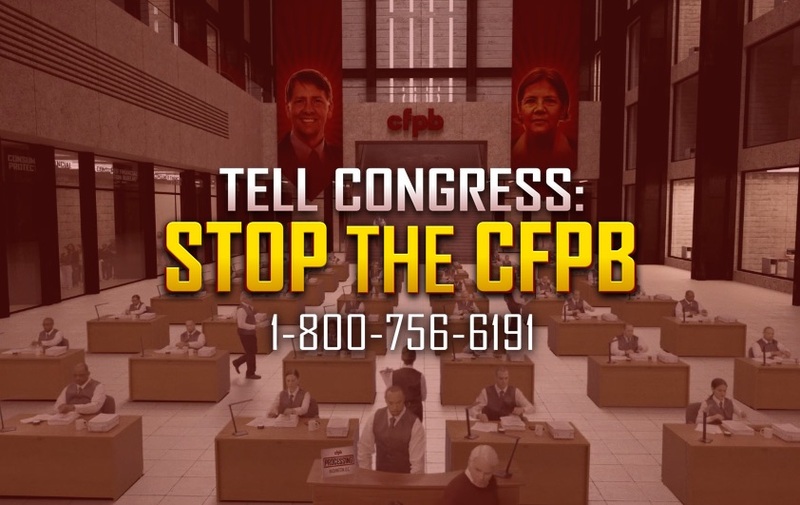 The American Action Network – a right-wing group that has raised more than $100 million for nasty attack ads since 2011 – has a new commercial airing during tonight’s FOX Republican debate smearing the new Consumer Financial Protection Bureau we fought so hard to build. And I’ve got a lead role in the ad: Playing the part of a Commie dictator (check out the banner). Our team checked in with the TV network, and the right-wing group is spending $30,000 to run this crazy attack ad during the debate tonight. Please help us raise $30,000 right now to send a message to Wall Street and its Republican friends that we’re ready to fight back. I’m not surprised that the big banks and Republicans are attacking me or the CFPB. After all, in just four years, the brand-new consumer agency has already forced the biggest financial companies to return more than $11 billion directly to the people they cheated. And even on Wall Street, $11 billion is real money. But I am surprised by just how bold and shameless these new attacks are. Wall Street has a problem: they know that the Consumer Financial Protection Bureau is working and that it’s incredibly popular with the families it helps. So the big banks are smart: $30,000 for a TV ad is nothing compared to the money they can save if their Republican buddies will go after the agency. And if they can soften up support for the CFPB, the Republicans will feel a little bit safer when they try to undercut the agency and rollback financial oversight during closed-door deals. I’m a big girl, and I can take the personal attacks. But working families who need the CFPB can’t – not when they’ve been crushed, squeezed and hammered by the big banks and their friends in Washington for years. It’s up to us to fight back. Help us draw a line in the sand: You’re with the big banks who broke our economy, or you’re with working families. Let’s match the $30,000 that is going into tonight’s ad and send them a message. The CFPB will keep on doing its job, but we’re here to make sure that it CAN keep doing its job. We fought to build the CFPB because we believe that no one should get cheated on a mortgage, credit card, car loan or any other credit product – and we’re ready to say loud and clear that we will keep on fighting to protect this agency.